Founded in 1998 by 8 independent national small business associations, The European Small Business Alliance is a non-party political group, which cares for small business entrepreneurs and the self-employed and represents them through targeted EU advocacy and profiling activities. ESBA also works towards the development of strong independent advocacy and benefits groups in European countries. ESBA's new website, which provides an innovative approach to communication amongst business organisations, reflects these three main fields of activity. Today, ESBA is one of the largest organisations based on voluntary membership in Europe. Through its direct membership, associate membership and cooperation agreements, the Alliance now represents almost one million small businesses and covers 35 European countries. Increased support and recognition, internally and externally, however will only be achieved through tangible results. 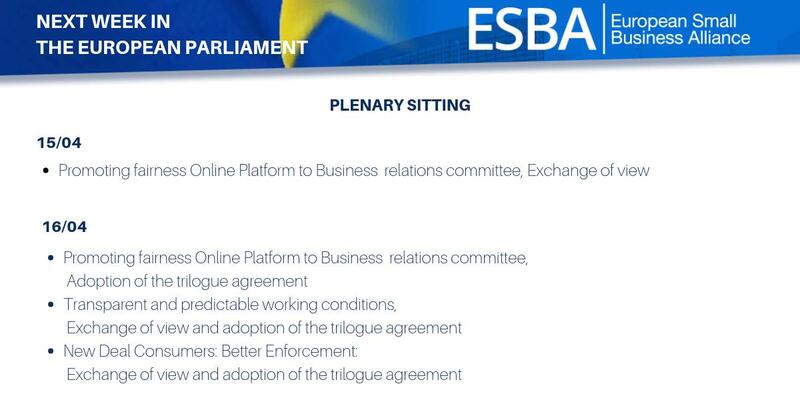 Through implementation of its 'Vision 2020' and the corresponding business plan, this is what ESBA is constantly striving to achieve on behalf of its members and SMEs in Europe.